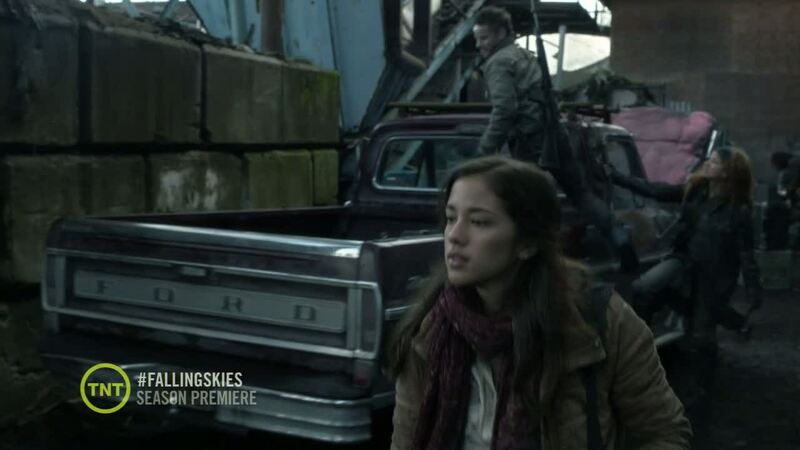 The second season of Falling Skies kicked off with two episodes, the second of which – “Shall We Gather at the River” – introduced Luciana’s character Crazy Lee. So far, she didn’t have a lot to do and had a few lines in one scene. 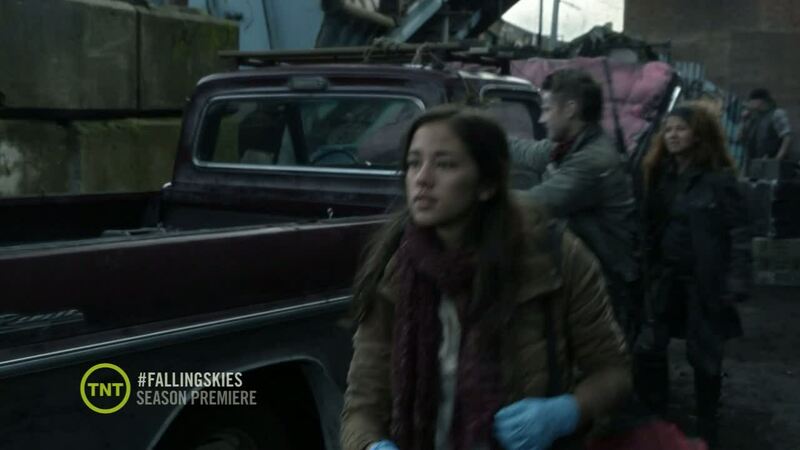 Let’s hope she’ll get some proper action soon, but generally I’m quite in favor of introducing a new character slowly in the background as this makes it seem like the character has been there all along. 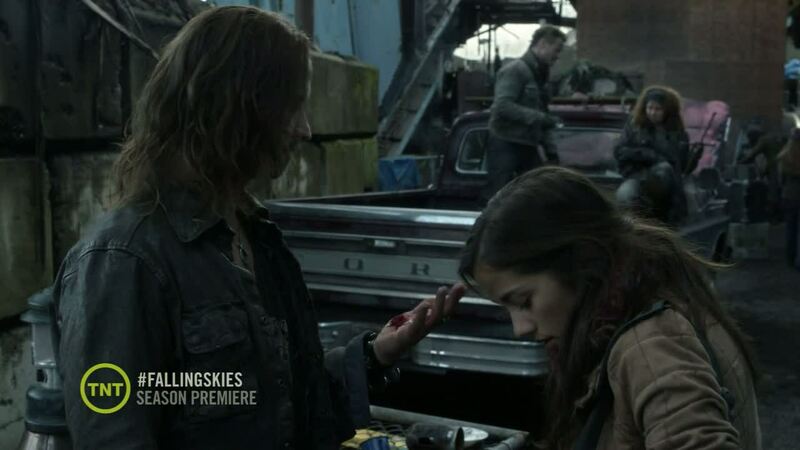 [Slight spoilers ahead:] Personally, I liked the two episodes, they were fast paced and interesting. One complaint I have is that the aliens only gave Tom Mason the usual “surrender or die” options, while this wasn’t unexpected I was hoping for something different or at least some more info on the aliens’ plans. One little detail that reminded me of Battlestar Galactica was the bio-technology the aliens used in their aircraft, as the Cylon Raiders from BSG also had organic components. 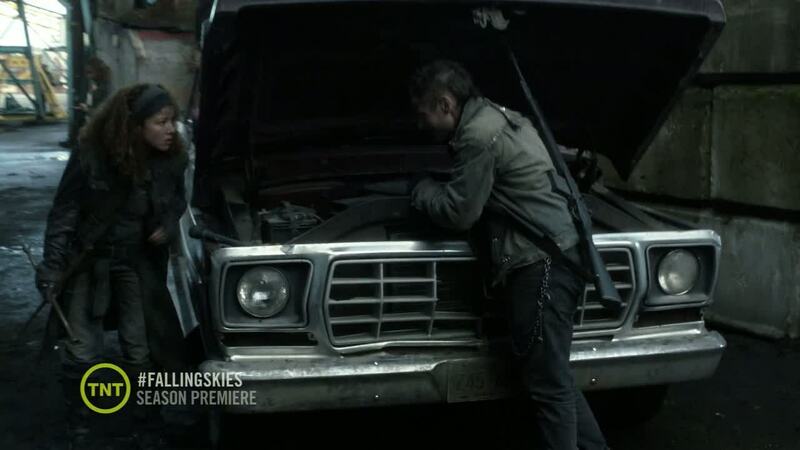 Let’s see what the rest of the season has in store for us, and for Crazy Lee! 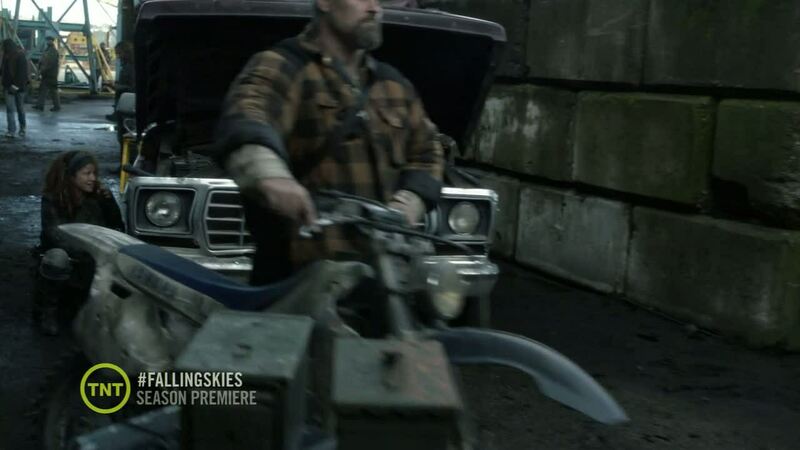 This entry was posted in Other and tagged Falling Skies, Film + Television, Pictures, Screencaps. Bookmark the permalink.